Generally use as audio or instrumentation wiring. Low Smoke Zero Halogen versions are also available. Material for insulation and sheath can be replace with those that do not emit halogens and toxic smoke. 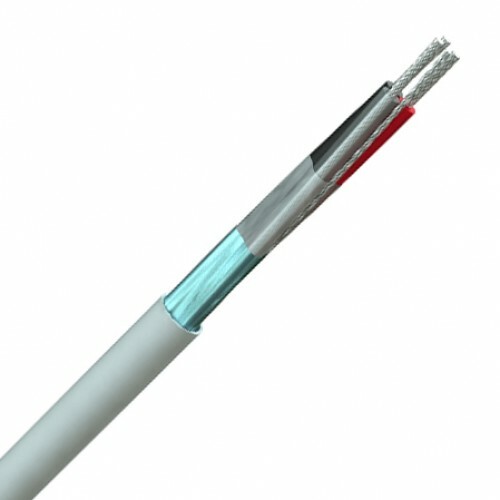 22AWG, 20AWG & 18AWG: Tinned copper conductor, polyethylene insulation, colours black, red & clear, cores laid up, aluminium/polyester foil screen, tinned copper drain wire, PVC sheath. 16AWG: Tinned copper conductor, polyethylene insulation, colours black, red & clear, cores laid up, aluminium / polyester foil screen, tinned copper drain wire, PVC sheath.